When it comes to big-time college sports, forget all the nonsense you hear about “student-athletes.” It’s not about studying. It’s about money, and there seems to be no shortage of that. “Deserve”? What has anyone done to “deserve” success? Well, maybe the university figures it deserves more than a mediocre win-loss record for the money it was paying head coach Craig Robinson. He still has 38 months left on his contract, according to news reports, and will be paid about $4.2 million over that period of time if he doesn’t take another job. That comes to $1.4 million a year for not doing anything. Sounds like a pretty good deal for the coach, and a really bad contract for Oregon State. If the emphasis was on “students,” no coach would be paid that much, and none would be dismissed based on losing games. What about the so-called “student athletes”? 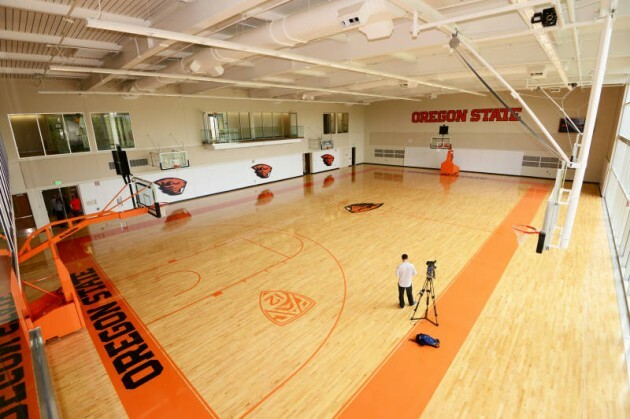 One of the better players at OSU has declared for the NBA draft, another decided to transfer, probably not because he thought he could get more study time at some other school, and a third decided to go play basketball as a pro in Europe. Some students! Maybe it’s time to reserve the term “student-athlete” for those few who can do both – play a sport and intellectually perform in the classroom with an expectation to earn a degree in four years. For the rest, let’s create space for them as “associate-students” and let them play a sport and take a few easy courses without any expectation of earning a degree. Since there is a push for college athletes to be paid (professionals?) how about requiring them to sign a contract stipulating that, if they are on a scholarship, they agree to completing four years and getting a degree. If not and they turn professional they must repay all the scholarship monies, plus interest. The interest would then be used for ACADEMIC SCHOLOARSHIPS for non athletes.